We all use various popular web browser to browse the internet. But do you know that we can also browse the internet without using any browsers? Here I am gonna tell you that how you can surf the Internet without using any web browser. This trick is just for some fun on Windows operated system as we all are having some nice web browsers on out computer. But still, it is a good one to surpriseothers. An another way of browsing the internet is just go to My Computer and type in the address bar the website you want to browse as shown in the image. 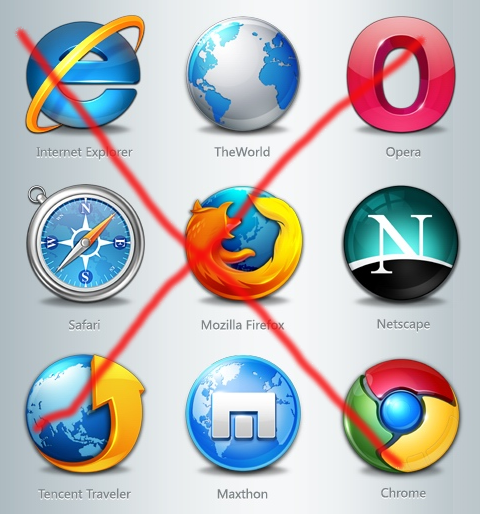 In fact, this trick uses opens the Internet Explorer by default from the My Computerwhen you enter the URL of a website.